Love Saves the World: August is Read a Romance Month! Three authors are featured daily and, while there are prizes galore to be won, the best thing about it is how the website celebrates romance novels and the authors who write them. Check out their Facebook Page and Twitter Page! 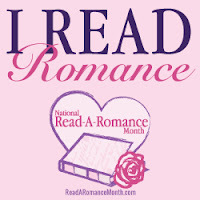 Happy Read a Romance Month, everyone! And congratulations on RARM! The articles are amazing!